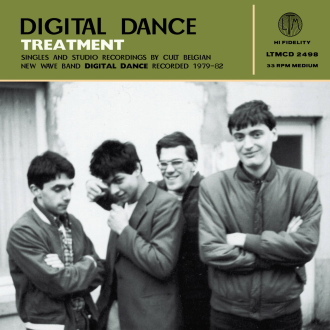 Treatment is a CD anthology by cult Belgian postpunk band Digital Dance. One of the first and best new wave bands in to emerge from the Brussels scene, Digital Dance formed in 1978 by singer/guitarist Jerry WX and guitarist Stephan Barbery. The group, which also included keyboard player Jean-Marc Lederman, released their first single on Disques Vogue in 1979, a cover of Radio-Activity by Kraftwerk. 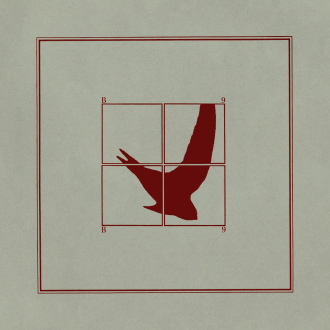 Digital Dance recorded three more singles - Faulty, Treatment and Three Meanings - as well as a cassette album, along with another single under the name Jung. John Peel championed Faulty in the UK, and the band played several high profile live shows, including a residency at the Gibus Club in Paris, plus a support with Joy Division at Plan K in January 1980. Eventually Digital Dance split early in 1982. Various members subsequently played in groups as diverse as Fad Gadget, Marine, The Revenge, Kid Montana, Snowy Red, The Names and Ink. The 75 minute CD includes detailed sleevenotes by Drita Kotaji (of Berntholer) as well as an assortment of period images and graphics.